The first Redwall novel was published in 1986. As of February 2011, the 22nd novel in the series has been announced for publication in May. His novels have sold more than twenty million copies, have been translated into 28 languages, and have been produced as an animated series. Jacques and Redwall have many fans in the furry fandom, and the series is the inspiration for Redwall MUCK, but has also attracted criticism for such things as species typecasting and sameness. It's strange to think that Redwall has only been around since 1986. The plots were fairly simple, but fun to read nevertheless. At least he did something that made an impression on millions of children. I loved the covers by Pete Lyon, too. I am deeply saddened... His books is what struck my interest for anthropomorphism in the first place. Not to mention his poems were fantastic creations. I... I mourn for the loss of such a wonderfully creative mind. He was one of my childhood heroes. I loved his books and i just can't believe he is gone. I feel bad for his family and what they must be going through. He may have been writing simpler stories as time went on, but his contribution to the world of literature with the first Redwall novel is great nonetheless. Not to mention the contribution to the whole "fuhreh" genre we all seem to liek. Wow... that's just... weird. I have a friend who's going to be really upset; he read those books religiously. It's a shame that I never read any of his novels during his life, but as many say, "An artist's work is never appreciated until after their death." Now I'll definitely give them a read. 1. The books can mostly be read in any order; HOWEVER, the one exception is do not read Mattimeo until after Redwall (you should probably read The Bellmaker after Mariel of Redwall, but it isn't quite as important). 2. Start with Redwall; still probably the best. Note: as it wasn't his first novel, he hadn't quite yet made set the universe's rules of anthropomorphism, scale and whether or not there are humans; the horse is the probably the most infamous example of all three. 3. If you liked Redwall, the "top 5" (not counting Redwall) are probably Mossflower (Tsarmina, I think the only female super-evil villain, is still one of the best), Mattimeo (Cluny, Tsarmina and this book's Slagar are the first three villains, and still the best three), The Bellmaker (Blaggut the rat steals the show), The Long Patrol (I think this is the book where Jacques comes closest to making a kind of thematic point), and Lord Brocktree (possibly the funnest book in the series, with numerous callbacks to earlier books). 4. The earlier stuff is better. The heroes are better, the villains are better, and the books start faster. I can't remember them all that well. I remember Cluny the Scourge and some of the other characters but a lot of the books were so similar. In my mind the best ones are the ones that broke the mold. Pearls of Lutra was good with them leaving the abbey and, I remember it being my favourite when I was reading it, The Taggerung. Yes, The Pearls of Lutra was pretty good (if I'd gone to top ten it would've been there); The Taggerung was alright, but it really lacked any sort of Bondian super-villain, which I always liked. When I was in high school, I waited, each fall, for the newest book by two authors; Michael Crichton and Brian Jacques. They're both gone now. Though not exactly in the order I expected. Jesus, me too, both my favorite authors. Are you me? i agree with crossaffliction start from Redwall and go from there couz even thou the series is in cronologicial order the books go back and forth between books but a great series none the less he will surrely be missed. Just to clarify a bit, the story timeline sequence of the books is very different from the publication order of the books in the series. Here is a page from a fansite that gives both through book #17, along with some recommendations about which should be read before others if you don't want any spoilers. i knew this would happen. i sensed that he would pass around the time of spring. but i never wanted it to happen around a time where a highly anticipated book was to be released. 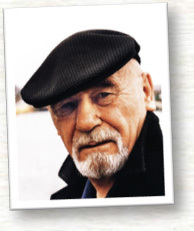 we'll miss you, Brian Jacques, the REAL founder of Redwall. I liked Mr. Jacques. He was a good author, and one of the ones that I read after Lion King. It's a shame that he's gone. I kept hoping I'd run into him at a furry con, or something where he'd be guest of honor, but he hated furry. Absolutely hated it :( I kinda can't blame him.. as he said once, his books are always about good vs evil, and there are well marked lines between the two. Good is good, evil is evil. Furry tends to, in his mind, have been less good than evil, and so he was NOT a fan. All the same, you don't have to be a fan of furry to write anthro works, and you don't need to hate someone just because they think you're perverted and your fandom has ruined his universe. I'll miss you, Mr. Jacques. I could have stood for a bit less formula in your work, but your tales were exciting nonetheless. I think you need to cite your sources; I think you're just assuming. I'm betting he was only vaguely aware of furry, at best. I do know he didn't like video games (he was against a possible Redwall video game, though I think that was only suggested by a fan letter than ever actually coming close to a reality), but he did "officially endorse" the RedwallMUCK (which I think he was also only vaguely aware of), and he did turn one Internet group ("Dibbuns Against Bedtime," or "DAB," which could best be described as a group of babyfurs who didn't use that term) into a canonical group in one of his novels. I was playing on Redwall muck when he "officially endorsed" it . He offiically endorsed it after months of negotiations and threats and what not that it NOT become a Furry Muck . For a long while, we were concerned they were going to shut it down. Instead, in endorsing it, they reserved the right to shut it down for violations of the "G Rated" clause. There was, even, for a time a comment about "degrading England" being cause to shut it down. In short, he didn't like furry. He didn't like it at all. I remember one quote saying something along the lines of "There are places for that type of stuff, and redwall is NOT one of them." Sounds like something out of the second volume of "The League of Extraordinary Gentleman." I think there was a quote from one of computolio's old Crush!Yiff!Destroy! articles stating that the average "Redwall" novel had the romantic tension of the average H.P. Lovecraft "Cthulhu" story, which was one of the few good lines that was lost when that site went down. Sexuality really didn't have a place in the "Redwall" novels, though there was a scene where a character sat down and explained where the milk for all the cheese came from (a quote-unquote "milksap" plant) in the essentially cowless setting of the series, which answered a rather disturbing question even I hadn't thought of, but apparently Jacques had. I guess this would be one of the few times a where a creator took real, concrete steps to keep his works out of the hands "dirty" fans that was at least a little bit effective. As far as I know, this is a pretty unique case. Also, I should add, I guess I always hoped he was blissfully unaware. Exactly when was this? What issue of Wired? Is there any online documentation about all of this at all? The WikiFur article on Wired lists a few different articles that have mentioned Furry. If I had to guess, it's probably the "Johnny Manhattan" piece, since it specifically addresses MUCKs. I see. I wish there was something somewhere regarding Brian Jacques' side to all of this to see. You can ask, probably , the Redwall muck staff. They're still around, and they probably remember the Jacques affair quite well. They would have been named as litigants, after all. Oh, and yes, it was the Johnny Manhattan Meets the Furry Muckers that he had supposedly read, but it was kind of a time delayed reaction, as that article came out in 94 and the action around the muck happened in 96 or 97. I loved his books, probably still do but haven't read them in a long time. I actually have about six unread ones sitting on my shelf waiting for me and probably all the others already read. :p It's nice to read his style of English with different accents and such, it gives a certain richness to the text.